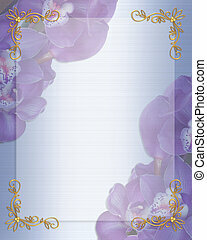 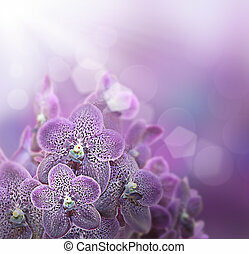 Greeting card with violet orchids. 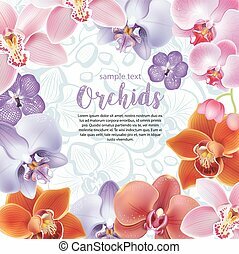 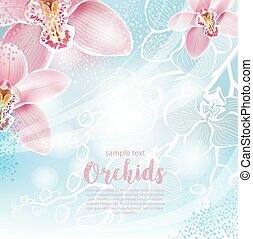 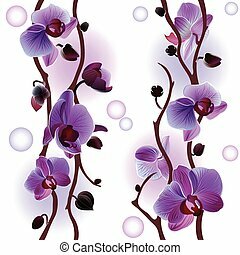 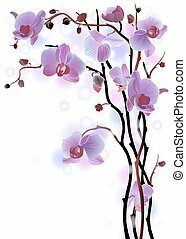 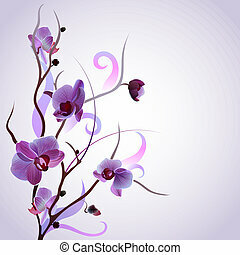 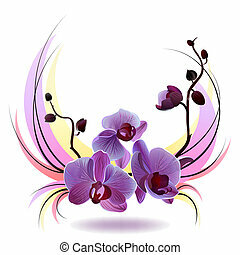 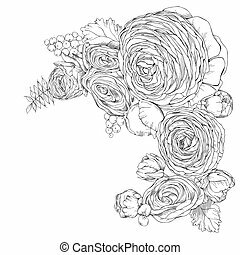 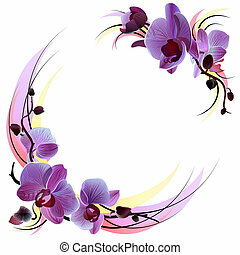 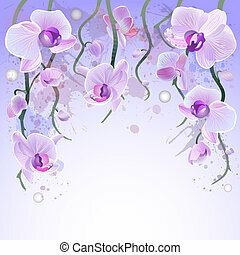 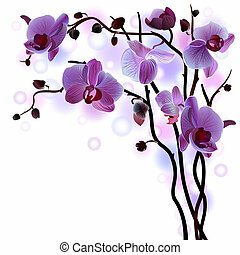 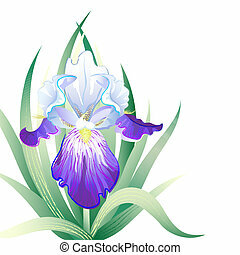 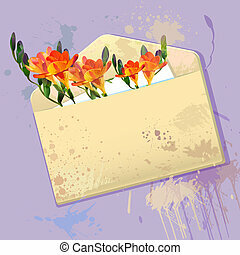 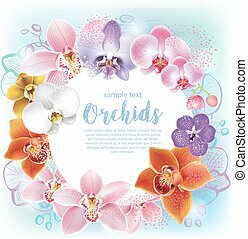 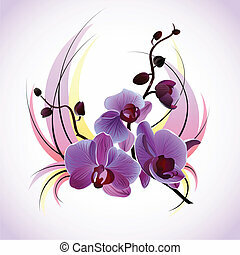 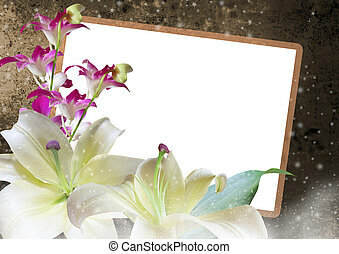 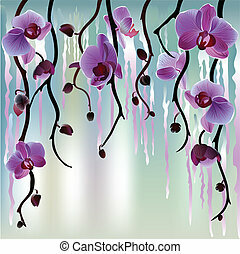 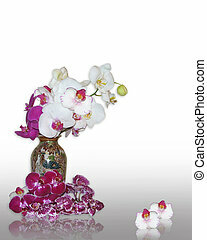 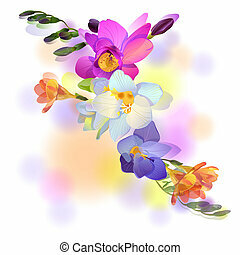 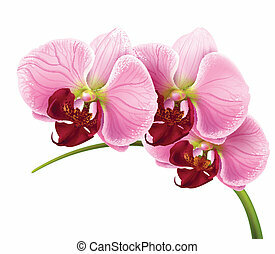 Vector gentle greeting card with branches of violet orchids. 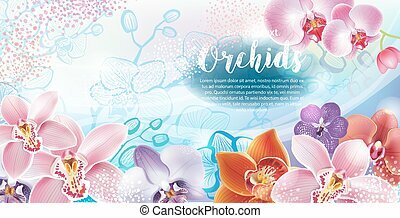 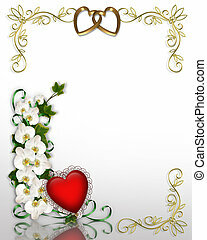 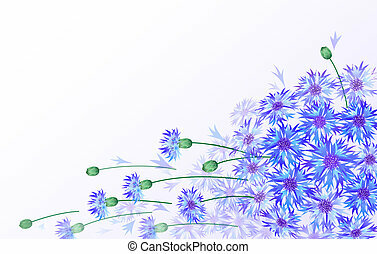 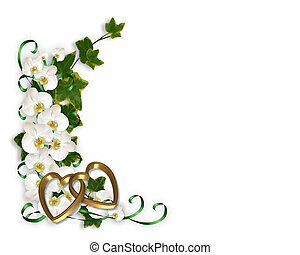 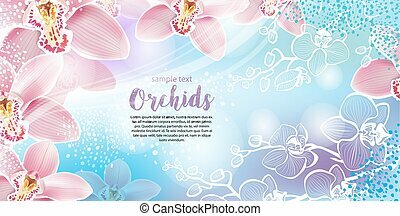 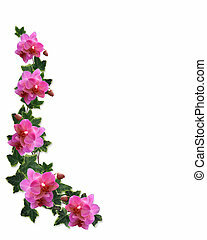 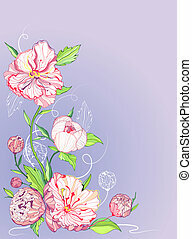 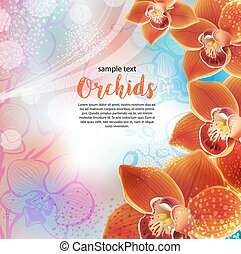 Ivy, orchids, flowers image and illustration composition for background, border, frame, wedding, anniversary, birthday invitation or template. 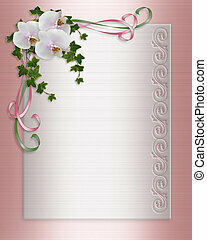 Pink satin with copy space.